If you were to learn nothing more about online marketing than the following, you would be well equipped to start the journey of implementing your own strategy or at least discuss doing so with a digital marketing agency. Here it is: The online sales and profit formula you must learn, understand, and employ in your business. Get Found Online (Traffic) + Convert Visitors to Leads + Convert Leads to Sales = Online Profits. Now let’s begin to break down the first piece of the formula. The first four above signify “real people” who have gone to a search engine because of their need to solve a problem, typed in a search query looking for an answer or solution, found your business in the search engines (or on social media), and have clicked on a link to come to your website. Research keywords that are relevant to your target audiences. Select keywords that face lower competition to better rank on them. Create high-quality, relevant content that provides value to visitors. Write headlines and titles in a way that entices potential visitors to click on your page. Use internal links to guide visitors to other parts of your site that may interest them. Cultivate external backlinks from reputable sources to show search engines your website is a trustworthy source. One way to make your website easier to find by your target audience is by focusing on ranking for long-tail keywords in your blogging and content marketing. Long-tail keywords collectively attract 50% of internet traffic while short-tail keywords attract the other half. Long-tail keywords are longer than short-tail ones and usually include three words or more, making them useful for targeting much more specific demographics than long-tail keywords. They also face far lower competition than short-tail keywords, which are usually dominated by major, well-established websites. You can use long-tail awareness stage keywords that someone would might search for when they are thinking about the kinds of services or products your company provides. 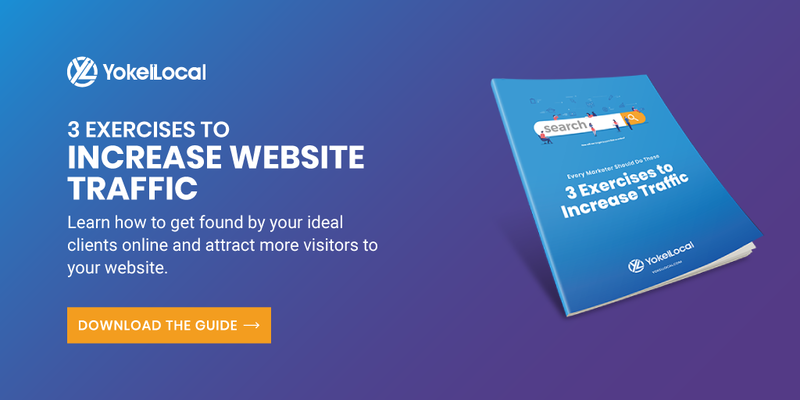 This can help you to attract visitors who are in the beginning stages of the buyer’s journey, allowing you to keep your company top of mind throughout it. You can use long-tail keywords throughout any piece of content you send out to better attract the type of visitor you want. You can include them the text itself to the HTML tags your prospects will view before clicking on a link. Always create content for the buyer persona. Optimize that content around a pain point, concern, topic, or question the buyer persona may have or be interested in. Create content that target prospects at different stages of the buyer’s journey. Always go above and beyond the content that’s already out there on a given topic, making your piece more robust and giving your piece a greater chance of ranking. Don’t write for search engines; write for humans. However, you can sprinkle “semantic” keywords throughout the piece or use Google’s “Suggest” feature to find out what users may be looking for. Include the primary keyword in the title, URL, first paragraph, and at least one subheading of the article. Don’t simply wait for SEO to work: Promote, promote, promote. Publish on social media. Leverage existing connections in the industry to build backlinks to your content. Pay-per-click advertising is an internet marketing strategy that utilizes paid advertisements on major search engines. You only pay when a visitor actually clicks on an advertisement, which allows you to refine your campaign according to benchmarks you set. As PPC campaigns also include an abundance of metrics, you can also measure the effectiveness of your campaign to determine the best use of your marketing budget. A PPC campaign is ideal for businesses that need to gain exposure fast, such as when they first launch or if they have a new product they want to promote. PPC can start driving traffic to a website almost instantly and can be optimized later on once you start obtaining data about the effectiveness of your efforts. In this respect, it is superior to SEO, which takes much longer to take effect and is difficult to track with the same granularity; on the other hand, ranking your site organically with SEO is not the same kind of ongoing expense. However, PPC and SEO complement one another and are both crucial components of a successful internet marketing strategy. Pay-per-click advertising allows you can create a highly customized advertising campaign that you can optimize to individually target buyer personas. You can also design advertisements that display only when someone searches a particular set of keywords or during certain times of the day in specific locations. To do this, simply put in a bid for the keywords you wish your ads to display for, and yours may be chosen depending on both your bid and the relevance of your content. PPC ads are highly visible, often appearing at the top or bottom of a Search Engine Results Page (SERP). Google AdWords is one of the premier pay-per-click services available today, thanks to the massive reach and the nearly endless array of metrics it offers. AdWords allows you to display your ads on Google and Youtube, both of which dwarf their search-engine competitors. AdWords also allows you to include a variety of plugins in your ads, meaning you can display videos, links, pictures of specific products you wish to promote. You can also set strict daily spending limits thanks on AdWords, buying only as much advertising and traffic as your business needs. Research of your target audience to determine their location, relationship to your business, and their expectations when searching for your products. Keywords that your buyer personas are most likely to use to find your business. Several themes which can guide your keyword selection and content creation. A unique selling proposition (USPs) for each product or theme of your campaign. Several different versions of 100-character ads for each USP that communicate the strengths of a particular product or service you offer. A landing page for visitors who click on your ads that is relevant, user-friendly, and optimized for conversion. A budget that can change based on your current needs and the success of your advertisements in attracting new visitors. Endless improvement by using the vast array of metrics available to you to measure the effectiveness of your advertisements. Social media advertising is a form of paid advertising that utilizes social media platforms to directly reach prospects. Platforms such as Facebook and Twitter collect massive amounts of data about their users, including their social networks, locations, consumption habits, peak activity times, and sometimes even their offsite browsing habits. This allows you to tailor advertisements to specific buyer personas with an incredible degree of granularity. Because of this, social media marketing appears set to become a critical component of current and future marketing campaigns. Facebook is one of the best opportunities for advertising on social media, thanks to its massive user base and its attempts to make marketing easy for businesses. Facebook allows businesses to create Pages, which provide automatic updates to an unlimited number of followers. Facebook also offers paid advertisements and the opportunity to target users based on everything from their location, birthday, and even e-mail address. Like Google AdWords, they also allow you to place a limit on your daily ad spending. Focus on social media platforms that your target audience is most likely to use. Create a Facebook Page for your business to provide updates about new products, special offers, or changes in your business. Connect with your users by conducting surveys, questionnaires, or polls. Connect with influencers who may be able to promote your company or product to their followers. Research your target demographic and choose ads tailored to a specific set of characteristics, such as their age, buying preferences, location, or browsing habits. Conduct A/B tests for your paid advertisements to find out which versions work best with a particular demographic. Set a daily budget for your ad expenditures to maximize the value of each dollar you spend. Constantly update your Page with new information and adapt your ads to the changing preferences of your target audience. Keep in mind that people don’t go on social media to spend money; focus on building relationships with your social media platforms. What's the Best Traffic Strategy: SEO or PPC? Here’s a raw, unfiltered fact that you must understand and accept. If you’re just getting started with SEO in any profitable and competitive market, getting your website to the first page of Google for the keywords and phrases that will drive qualified visitors to your site is going to take some time. Period. We realize that this is not what any business owner wants to hear, but it’s true. The great thing is that it’s not impossible. And in the meantime, you can use PPC or social media advertising to drive traffic to your site. A successful marketing campaign fires on all cylinders. A successful marketing strategy will use a combination of SEO, PPC, and social media marketing to drive traffic. However, while sheer numbers are important, they aren’t the only factor you should consider when developing your marketing strategy. Brand loyalty and trust are fast becoming decisive factors that buyers take into consideration when making purchase decisions. You can use your marketing strategy to also create a loyal following that turns to you first whenever they need your products or services.